Another pen and ink drawing from my daughter Naomi. How do you like the way she used tonal variation – that is from light to dark shades? 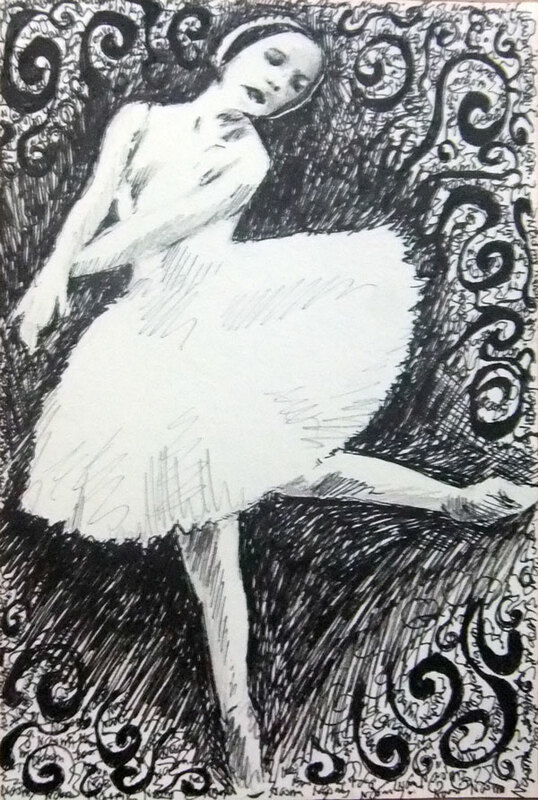 This entry was posted in Artwork and tagged ballerina drawing, pen and ink, pen and ink drawing on February 13, 2012 by Yami.